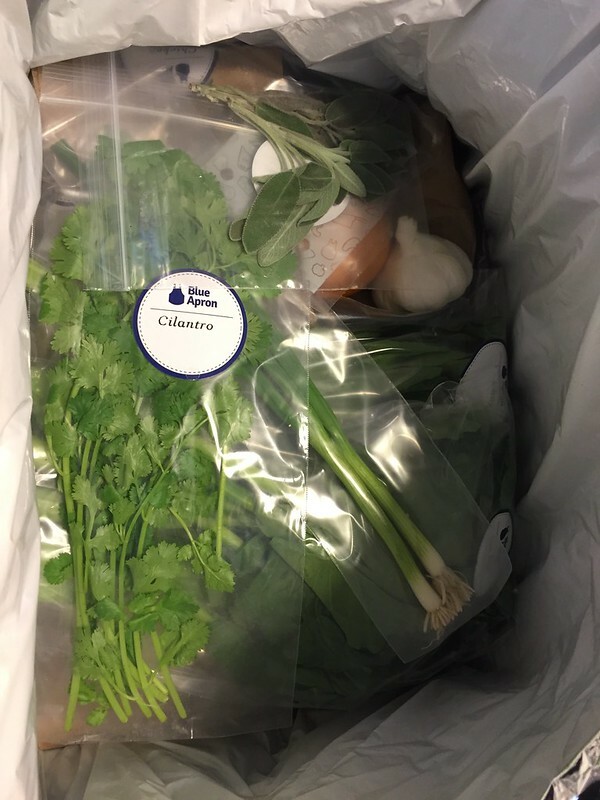 For several months now Kelly and I have been trying out Blue Apron, the service that delivers fresh ingredients and recipes to your door so you can make amazing meals. Bottom line: it's been responsible for a wonderful shift in our cooking and eating habits at home. Before Blue Apron, we were in a bit of a rut when it came to cooking at home. Both of us have found enjoyment at various times in the process of cooking, especially for other people. But at times we also faced a failure of imagination, discipline and/or motivation when it came to planning meals, going to the grocery, and taking the time to make something interesting or healthy. Yes, these are clearly problems of privilege; in a few minutes we could easily pick something from a cookbook, get to the grocery store that's less than 2 miles away, buy some stuff and a few minutes after that be home cooking - pretty much the definition of convenient and easy living. 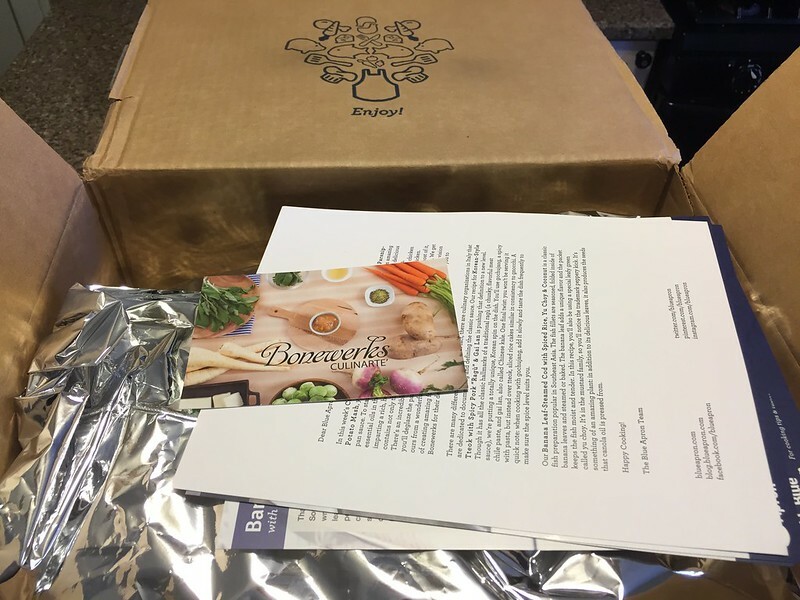 So when I first heard about a service that would ship fresh ingredients to our door along with recipes to prepare them, I was skeptical. Surely we could just make ourselves put a little more time and energy into doing what we already knew had to be done, right? But we decided to try it out after reading a review online, if only to say we'd experimented with this crazy new use of the Internet. Because the Blue Apron folks pick the meals for you (within your stated dietary constraints), you're regularly forced to try new tastes and combinations of ingredients that you wouldn't necessarily seek out yourself. 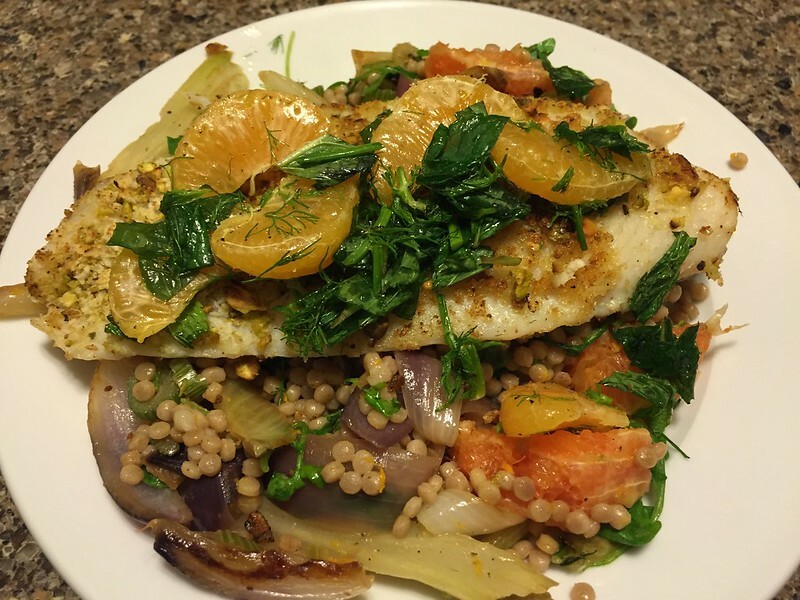 If you like it...yay, Blue Apron picked well! 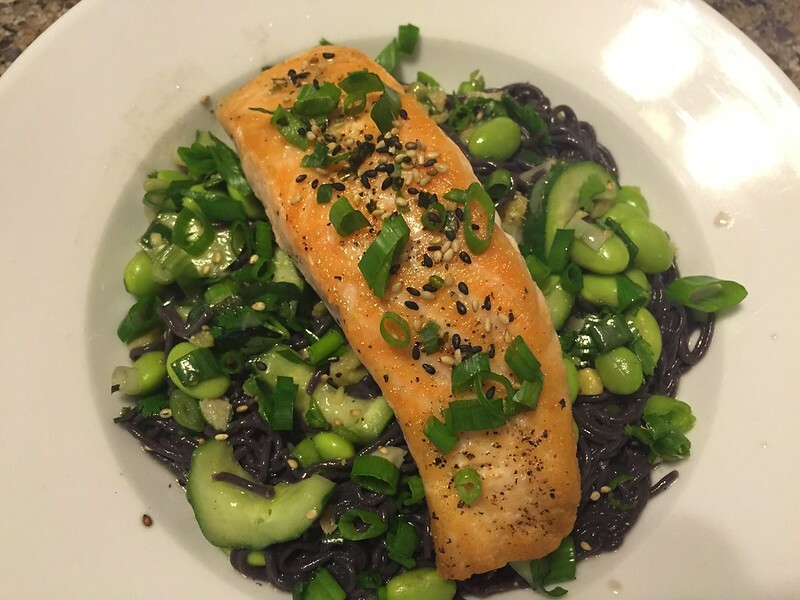 If you don't like it...boo, Blue Apron didn't quite get that right, but at least we tried it. Externalizing the responsibility for the choice of meals takes some pressure off the cooking process and allows you to enjoy the result more. Blue Apron has optimized their recipes (printed on a single two-sided sheet of paper with great photos and well-thought-out instructions) for simplicity, speed and minimal use of pots/pans/dishes. As someone who tends to use every dish in the kitchen when I cook and not always getting the timing of different steps right, improving these skills has been really great. The quality of the ingredients and recipes is consistently high. I regularly feel like I'm eating meals that are better than I can get at most any local restaurant (which may speak more about the local restaurant scene than anything else, but hey) and I've been impressed that the service has been able to scale up without having some off weeks, missing or not quite fresh ingredients, or repeat recipes (again, failure of my imagination at work). We waste less food due to spoilage. Because the amount of food that shows up is exactly the right measure of each ingredient, there are fewer moments of realizing that you really weren't able to come up with three more meals that use up that bunch of cilantro this week, and end up throwing the rest away. I'm learning ways to prepare food that I wouldn't otherwise practice, and I can re-use them in the future. In some cases I'm finding that the way I used to prepare certain kinds of food was needlessly complex or messy. And other times I just find myself exclaiming, "I didn't even know you could DO that with that food!" In general, I'm just doing more cooking, spending more time in the kitchen, being closer to the way the food I eat is made. 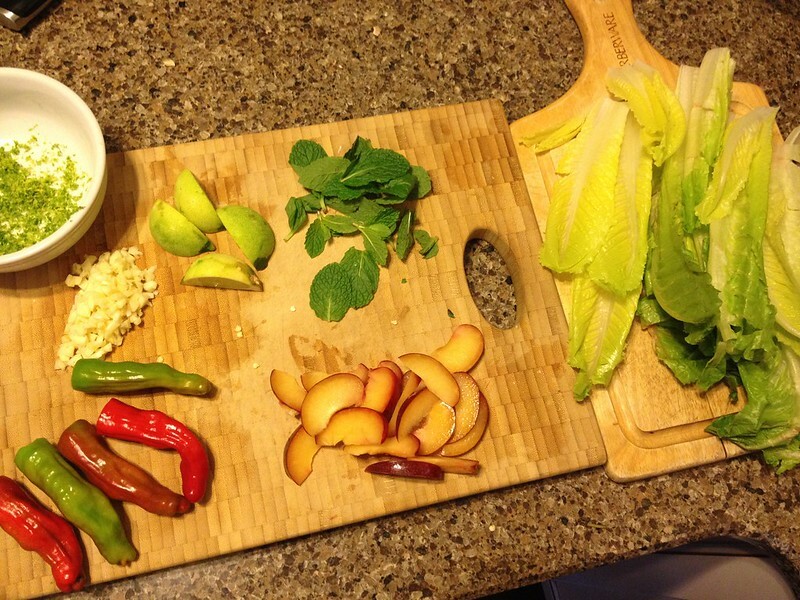 When it's time to cook, you get that meal's ingredients out, chop up a few things, and put it all together. I've rarely had a meal preparation take more than 60 minutes, and it's usually more like 30-45 minutes. You can choose a 2-person plan (about $9.99 per person per meal) or the Family Plan for 4 people (about $8.74 per person per meal). There are rarely leftovers. The portion sizes are usually just right for us to finish things off in one meal without being too full. For me, this hasn't been as much of a downside as just a shift in my thinking about cooking, from optimizing for quantity with minimal cooking time to optimizing for quality with reasonable and consistent cooking times. Shipping food around uses energy and packaging. Blue Apron's packing materials are as recycle/bio-degrade friendly as can be, but it's still physical stuff that has to be dealt with. 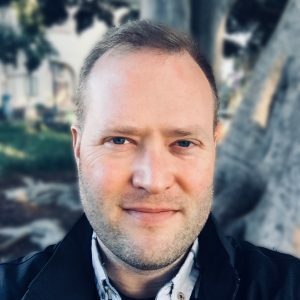 Eating food that comes from outside your bioregion is not good for the environment - shipping food from a market somewhere across the country requires fuel, vehicles, roads, etc. That said, big trucks bring food from far away places to the local grocery store, too, so unless we're able to find all that we need from local producers, it's not such a huge shift. Perhaps in the future, grocery stores will cease to exist as we have custom orders of ingredients sent straight from the source (farm or garden or packaging facility) to our neighborhoods by solar-powered drones. But I digress. Even with these notes, Blue Apron has been an incredible value in our lives. We're spending less on eating out at restaurants. We're spending more time cooking together. We're learning more about different foods and how they taste together. And we're having more "oh wow that tastes so good" experiences at home than ever before. 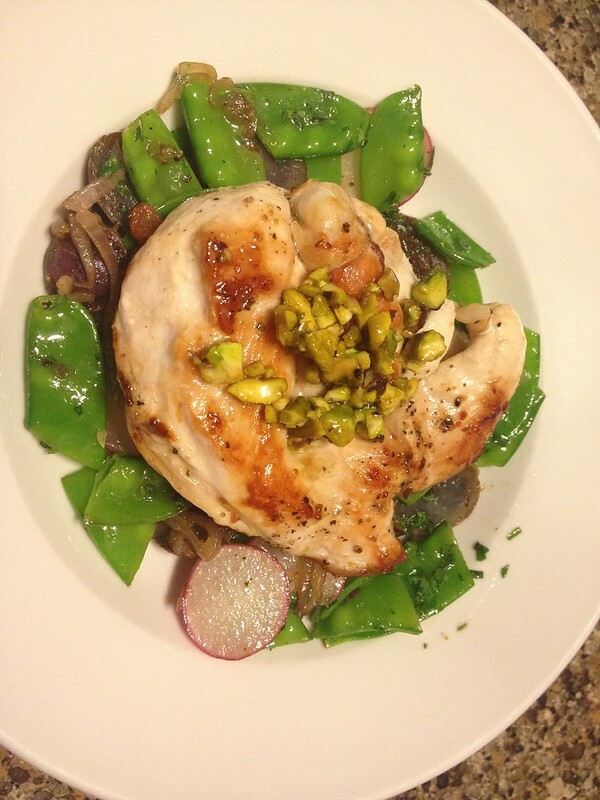 Using Blue Apron is an experiment that can't go on forever, but we're sure enjoying it for now. 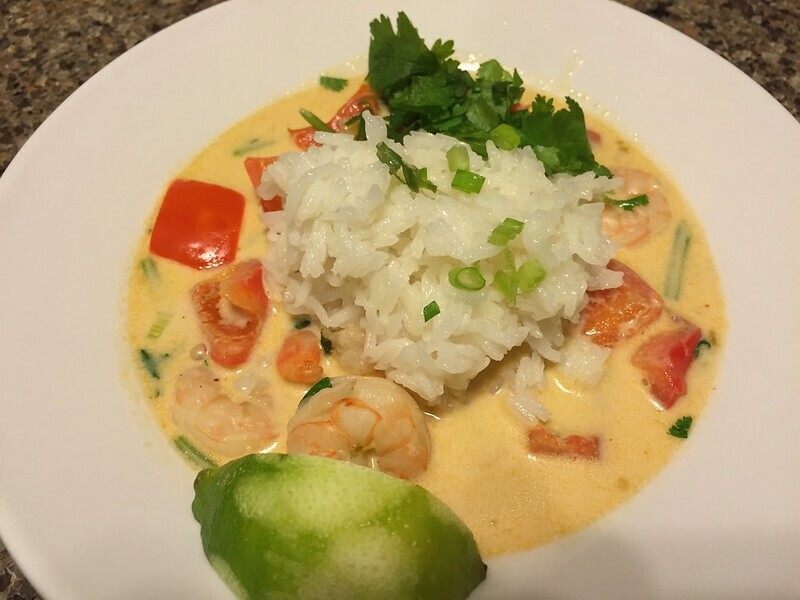 If you'd like to try it out, we have a few free invitations to give away, which will let you try out a week of Blue Apron at your home at no charge (a $60+ value) - just let me know in the comments. UPDATED 2/8/15: I've used up the invitations I set aside for this so I can't offer these any more, but I still hope you'll try Blue Apron out. Hi, I'd like to try out Blue Apron. Do you know if they have any plans for single folks, even if it's a dinner with some sort of variation for lunch the next day? Hi, Diane. I believe the smallest plan is the 2-person one, but you could easily use it to create some leftovers for yourself, assuming you like the meals enough. 🙂 I just sent you a free week invitation from my account, I hope you enjoy it. Hi Chris, Thanks! I enjoyed the meals and the portions were spot on so 1 "leftover" meal the next day for lunch worked out well. I decided to send a week to my Dad. He liked the food but said it took him 2 hours to make each meal. I averaged about 1 hour from start to plated. Again, Thanks, I enjoyed it. Hello. I would like to try Blue Apron. 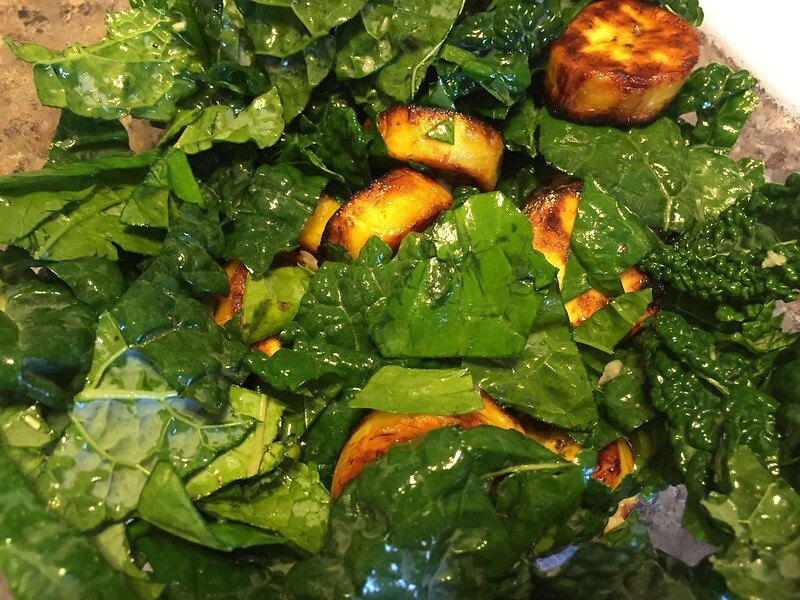 I'm trying to introduce the family to different types of food while still eating health. This may be an interesting way to try foods I wouldn't think of. I could see Matt loving this, but it would take a big leap of faith for me. All that cilantro in your photo is scary :D. It sounds like a great experiment, and I appreciate hearing about a real person's experience with this sort of service. Thanks so much for posting this! 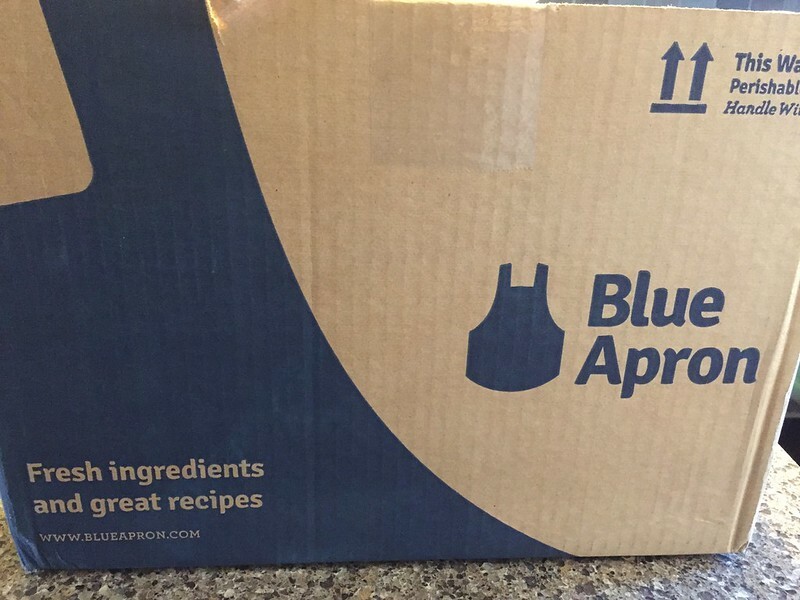 I was super curious about Blue Apron and it's really neat to read such a thorough review. I think you're totally right -- taking the decision making / planning / recipe + ingredient gathering out of the cooking process makes it so much less stressful. And, it sounds like the meals are actually terrific! Thanks for the review. I keep debating on whether or not to try Blue Apron and your article clearly broke it down for me. I would love to try a week for free. Thank you! I've signed us up for a family plan--first delivery comes next week and I'm most curious about the quantities. Blue Apron will save us money only if we have enough leftovers to feed at least a couple of us for lunch the next day. I'd love to reclaim some of the time I currently spend on meal planning and shopping! Thanks for sharing, we're a tecchie house and I work from home, sometimes by the time I look at the time I realize I'm OUT of time and SHORT on ideas for dinner. Really tempted to try this, thanks for sharing! Thanks for the review. Quick question...is the $60 cost for one or multiple meals? In our case that was the cost of three meals, so about $10/person/meal. Do these meals have a shelf life? Do you need to prepare all three within three days or can you skip a day or two? For maximum freshness they're best prepared as soon as you can, but we often made our last meal of the shipment a full week after it arrived, and it was fine.